I'm Curious Too: Publicity Stunt Over Laughable Matters Is Just Plain Stupid. Publicity Stunt Over Laughable Matters Is Just Plain Stupid. I guess most of us fans of the English Premier League have seen players and managers with poppies embroidered on their shirt around this time every year. At first I thought it was meant to commemorate the death of some prominent figure, until I read the debate between the English FA and FIFA last week. The poppy is worn on this day because according to the poem "In Flanders Fields", poppies bloomed in some of the worst battlefields of Flanders in World War I, and their red color symbolizes blood spilled during the war. It's just like the National Day, a day to remember the fallen heroes. In Malaysia, we celebrate the National Day, which is also known as the Independence Day by remembering the pioneers who'd fought for independence of the country. It's an acknowledgement of the sacrifice made by previous generations. But for the British, the Malayan independence celebration has never been seen as a slur against them, and we have never thought of it as such. So why oh why did FIFA ban the poppies from entering the field for the friendly match between England and Spain today? FIFA officials claimed that it would upset the Germans. That, my friend, has got to be the biggest joke of the century. 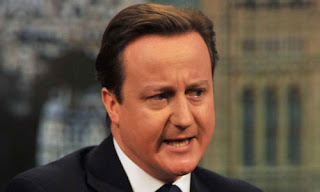 The Prime Minister of the United Kingdom, David Cameron has launched a string of attacks on FIFA over the matter, and he certainly has every right to do so. 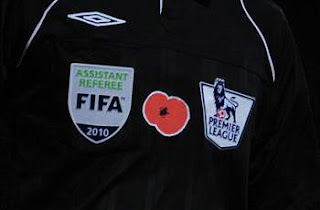 What right does FIFA have to deny England's right to wear the poppy? I mean, we're already in the 21st century, and the war was nearly a hundred years ago. Germany has learnt to cope with slurs and chants over their slaughtering of Jews during World War II (Don't call me anti-German/anti-semitic. Let's face it, it's all over the internet), so how is it possible that they can't emotionally handle a poppy on a rival's shirt? FIFA's act of politicizing the issue has earned even the snub from the Germany FA. 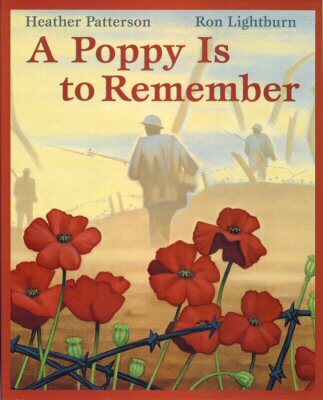 Germany's Federation general secretary Wolfgang Niersbach said that the idea of Germans being upset by the poppy hasn't even been mentioned in their meetings. He then voiced out his support for England to field players with poppies on their shirt. It's absurd to say the least that the overlord in Zurich wouldn't budge. 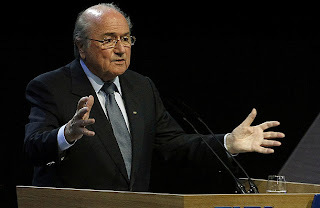 FIFA under Sepp Blatter is a disgrace, an utter embarrassment, over-commercialized, and the ultimate circus. The selected few earn millions while football clubs in poor regions of Brazil and Africa continue to struggle financially. The organization has lost its purpose and direction. They no longer promote football properly, instead the message it sends out sounds like this: make me rich, and I'll make you rich. 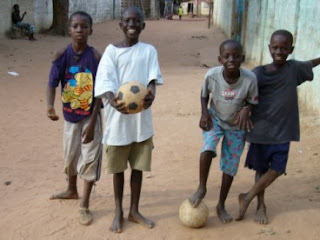 The world cup in South Africa was supposed to promote football in the region, to instil the love of football in every African soul. But profit comes first for Mr. Blatter, and FIFA apparently earned £2 billion (approx. RM 10 billion) out of that world cup alone. Consider other world cups under Mr. Blatter; Japan-Korea 2002, and Germany 2006. Johannesburg spent £4 billion (approx. RM 20 billion) on infrastructure development in the nine host cities. Transportation system was upgraded and it was so new that South African didn't know how to use them. Stadiums were upgraded to comply to international standards. But still, amidst the rapid development under Jacob Zuma, 40% of the population in South Africa are unemployed, with a further 30% living under £100 a month. So where was FIFA's role in South Africa? They messed it up in Africa, and now they're coming after one of the richest domestic leagues in the world. 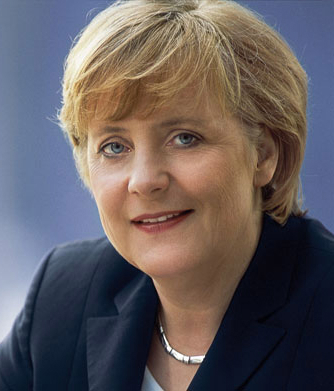 The Chancellor of Germany is Angela Merkel, and I believe she's as forgiving as any other women. England's insistence to wear the poppy is by no means a gesture to remember their heroes, not to remember the cruel act inflicted by another human being. Sepp Blatter should stop making a clown of himself. Publicity stunt over laughable matters is just plain stupid.